Analysis Paralysis Part 2: When Is Enough, Enough? You’ve said “enough is enough” from your data. What now? In my previous blog on analysis paralysis I talked about how, as counterintuitive as it seems, having a lot of data can be too much of a good thing. That’s because it’s easy to get stuck in a pattern of asking more questions when you have so much data in front of you. Even if you have the answers you need to move forward with a business decision, it is often difficult to know for certain. How can you spot the difference between doing your due diligence and spinning your wheels? That seems like a good question, but it is far too open-ended and in a room of five people generally yields about six different answers. The best leaders have a success metric in mind before even hearing proposals. Is it ROI? Is it NPV? Is it Return on Invested Capital? Whatever it is, it is home base and it’s how they know they are on the right track. Set your KPI(s) at the beginning of the decision-making process and keep moving forward. Establishing your path ahead of time ensures you don’t wander down a different one (or several different ones). 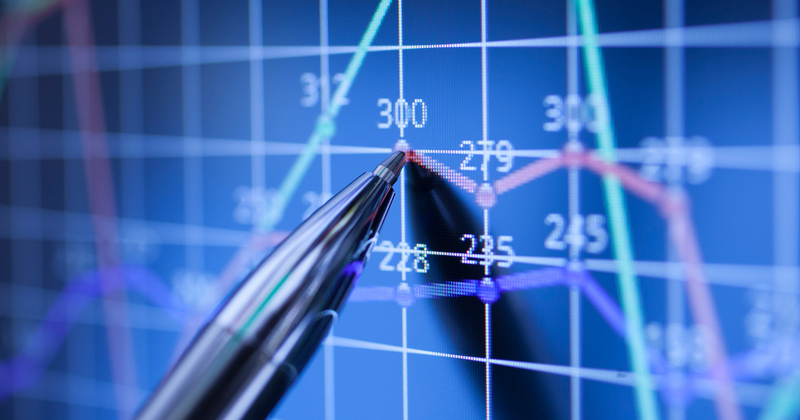 Establishing your #KPI's now will save you major #analytics headaches down the road! The “1-3-9” rule applies to organizations of all sizes; however, determining the importance of a decision is relative. Opening a new product line for a well-established market leader is a much smaller decision than for a new start-up. Make-or-buy incremental analysis takes on a whole new meaning when you are realizing incremental gains in one year versus two years and you have yet to at least break even on your P&L. 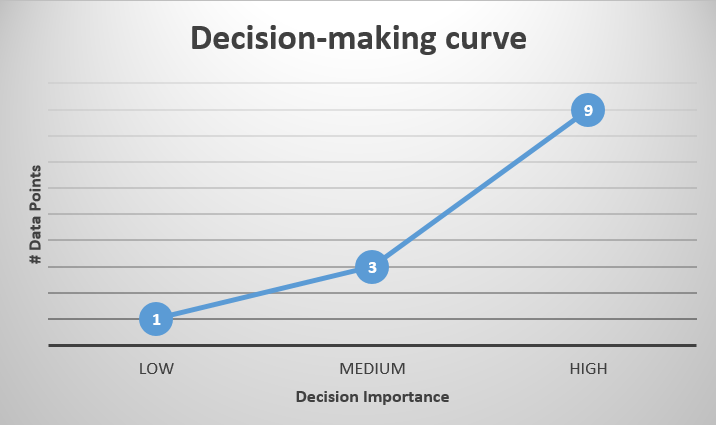 Once you’ve determined the magnitude of a decision for your organization, adhering to the decision-making curve will keep you from analyzing a decision from every possible angle, constantly second guessing yourself, and ultimately missing out on a time-sensitive opportunity.